Are you looking for an affordable bail bond in Wichita, KS? Are you confused and wondering how does bail work? Let Owens Bonding Co. help you get out of jail quickly and affordably with licensed bail bonds near you. Call our main office at 866-830-2663, or find your nearest agent today. Domestic Violence Bail: When you can’t afford domestic violence bail, contact the team at Owens Bonding Co. for help. DUI Bail: DUI bail prices can be high, so let us help you afford an early release. Federal Offense Bail: Our bail agents can help you pay for costly federal offense bail anywhere in Kansas. 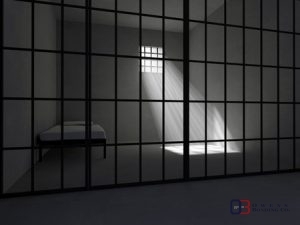 Felony Bail: When the cost of felony bail is too much to bear, call the bondsmen at Owens Bonding Co.
Misdemeanor Bail: Though they are lesser crimes, misdemeanors can also carry high bail prices. Probation Violation Bail: If you’re arrested in violation of probation, contact us about affordable bail bonds in Wichita, KS. Weapons Charge Bail: If you’re in jail on a weapons charge, call Owens Bonding Co. for affordable, fast bail bonds near you. Appeal Bond: Also known as a supersedeas bond, these are used to delay payment until an appeals process is complete. Appearance Bond: Similar to leaving jail on personal recognizance, an appearance bond requires a written agreement to show up in court. Arrest Warrant Clearance Bail: When you need to clear outstanding arrest warrants, contact Owens Bonding Co. for help. Cash Bond: A cash or cash only bond requires that you pay the full bail amount and cannot use a bail bond. Immigration Bail: Call the bail agents at Owens Bonding Co. for quick, courteous immigration bail services in Kansas. Surety Bond: Although a bail bond is a type of surety bond, the terms are often used to refer to the same thing in American courts. When you can’t afford the price of bail, you don’t have to wait in jail until your court date. You can use a bail bond for an early release at a small fraction of the cost. A bail bondsman will put up the majority of your bail, allowing you to return to work and your family. If you need bail services in Wichita, KS, call Owens Bonding Co. at 866-830-2663 for quality service. You freedom is our business! Updated on February 13, 2017 at 9:49 pm by Owens Bonding Co..